With a wealth of experience, our in-house team can advise and guide you to create a working environment to suit your business requirements. Our workplace strategy starts with researching into the three fundamental elements, your business, you people and your space. We start by understanding your needs and goals as a business, and any other drivers that may influence the strategy. Communities- Your workplace is one big neighbourhood made up of mini communities, so by getting to know who works where and with who, we can create a performance maximised space. Culture- The culture of your company is what retains staff and attracts new clients, so we ensure we know who you are and what your about to make sure your space reflects this. 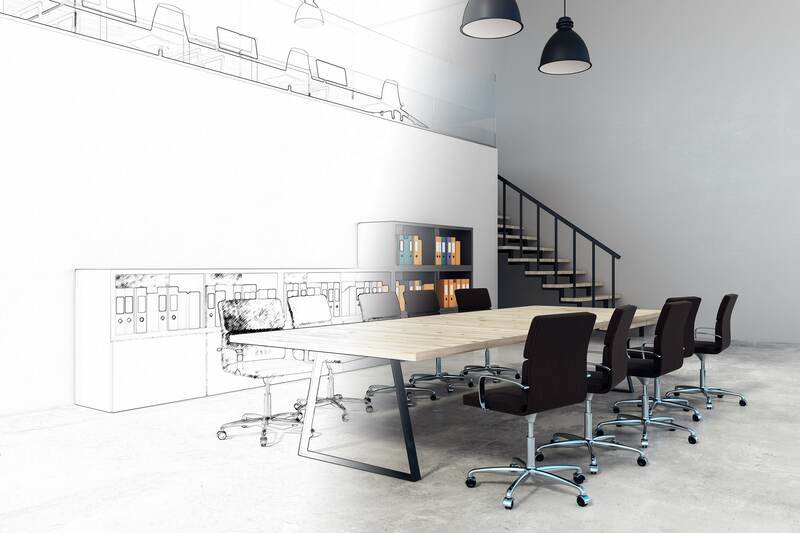 Corporation- By envisioning where your company is going to be in one year, five years and ten years, we can be certain that your work space is able to grow and flourish as your company does. 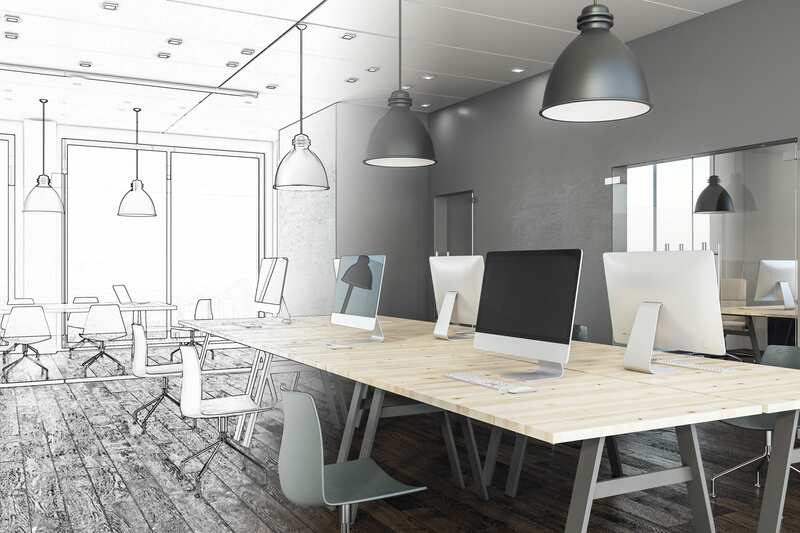 This will give us an insight into the direction your steering your company and how your new office design needs to reflect this. When it comes to space, there are three fundamental components that should be considered when crafting a design strategy that promotes collaboration and improves motivation; proximity, privacy and permission. Proximity- Creating spaces that can lead to serendipitous interactions can generate powerful conversations and create creative collisions between different team members. 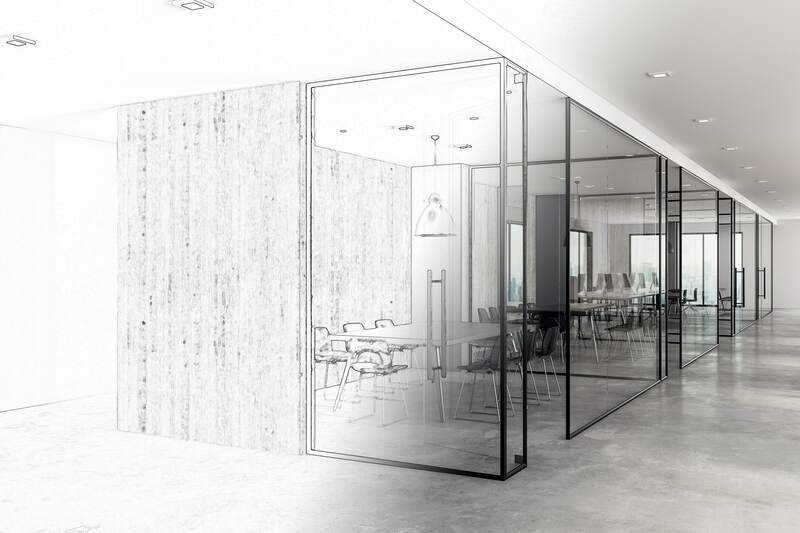 Privacy- Whilst traditional closed layouts are a thing of the past, employees still need to be confident that they can work in a space without being interrupted or having conversations overheard. Permissions- Individuals need to feel reassured by senior members of staff that they can create and collaborate in the different designated spaces around the office. The final factor that we take into account within a workplace strategy is essentially the most important, which is your people. There are three types of working modes that staff switch between when working on different projects; control, stimulus and rejuvenation. Controlled Attention- This attention mode is where employees need space to think deeply with undivided focus on tasks such as reading or writing. Stimulus-Driven Attention- This type of attention kicks in when we can switch between tasks, such as stopping in the middle of a piece of writing to reply to an email or take a phone call. Rejuvenation and Reflection- When employees are in this working mode, they are seeking a break from their concentrated work, whether that’s engaging in conversations with other employees in their neighbourhood, or taking themselves away from their desk to a different space in the office. By looking at the relationship between people and your space we can understand what areas in your workplace are working, what aren’t and how it can be used differently. We’ve worked with Building Interiors on a number of projects. During this time, we’ve always been impressed with their attention to detail and professionalism. From project management through to completion Ian and his team are efficient, reliable and good value. I would have no hesitation in recommending them.